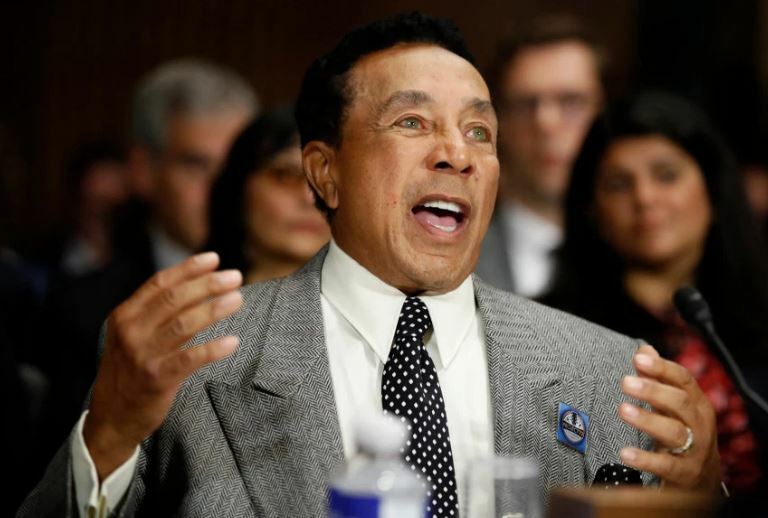 WASHINGTON (CN) – Motown legend Smokey Robinson and a group of songwriters and music industry representatives were in “Sweet Harmony” on Tuesday while urging senators to pass a sweeping update to music licensing laws. “This is crazy, we need your help, we need you guys to come and say, ‘OK, enough,'” Robinson told members of the Senate Judiciary Committee Tuesday. Robinson joined two other performers and songwriters in urging the Senate to pass the Music Modernization Act, an overhaul of music licensing procedures that the House of Representatives unanimously passed last month and is now being considered in the Senate. The bill is a combination of three, smaller pieces of legislation and would make a number of technical changes to the current music licensing scheme, including altering the standard used to set the rates digital music services pay for songs and creating a new system for compensating songwriters and producers. Robinson told the Senate Judiciary Committee this is a significant problem now that the artists who made songs before 1972 have gotten older and lost their ability to earn a steady income by other means. While they did not testify, music icons Mary Wilson, Darlene Love and Dionne Warwick sat in the audience during the hearing. Representatives of several music industry groups seconded Robinson’s emotion, saying the legislation would bring a much needed update to the tangled music licensing regime that has lagged more than “One Heartbeat” behind new waves of technology. “We have an opportunity to catch up legislatively to technological developments that have fundamentally altered our world,” Recording Industry Association of America President Mitch Glazier told the committee. But the witnesses at the hearing were not unanimously supportive of the law, telling senators to be wary of some of the fundamental changes included in the bipartisan proposal. National Music Publishers Association President and CEO David Israelite said this criticism of the bill, which paints the current standard as more flexible, disguises the true motives of larger music distributors like SiriusXM, which has called the bill anti-competitive. “I love that word flexible, what they mean is they get to pay songwriters less,” Israelite told the committee Tuesday. “What nonprofits, consumers, educators and archives as players in this ecosystem need is not a new federal right thrown onto the pile, but a systematically complete harmonization of these works with their modern counterparts,” Rose said at the hearing. Despite Rose’s concerns, senators were generally supportive of the bill and cracked jokes throughout the hearing using the names of famous songs by the artists in the audience and at the witness table. Sen. Orrin Hatch, a Utah Republican who is a key sponsor of the legislation, assured the witnesses who testified that the law has the attention of lawmakers.